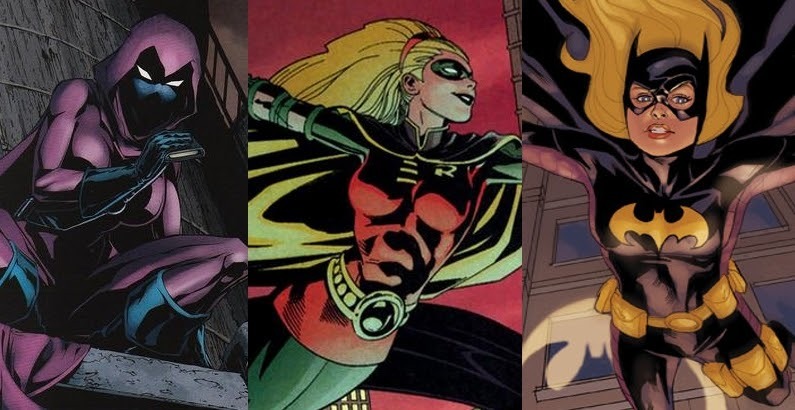 She's Fantastic: DC Multiverse Stephanie Brown as SPOILER! 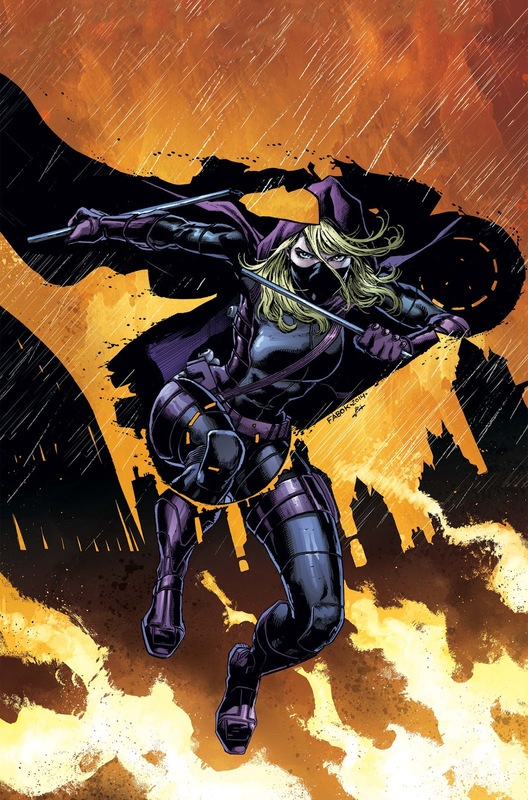 DC Multiverse Stephanie Brown as SPOILER! 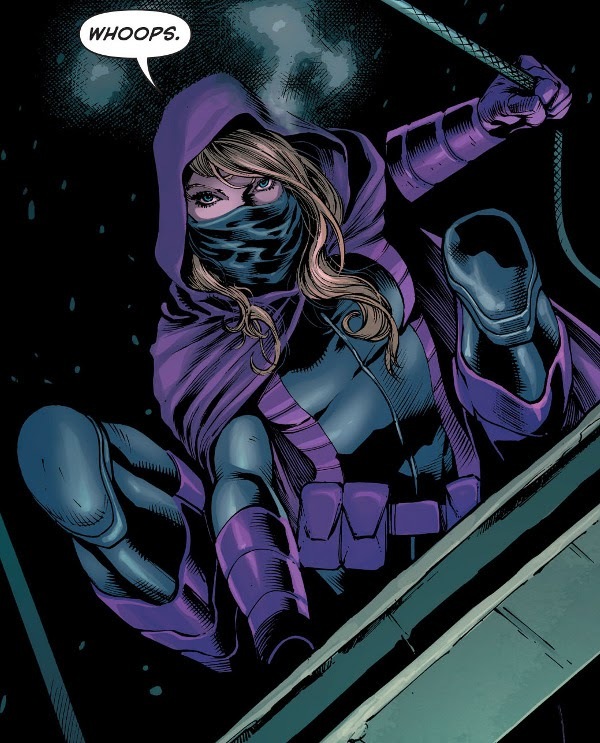 Stephanie Brown is one of those comic book characters that I just can't get enough of. She first appeared as a secondary character in the pages of Robin. She was a vigilante with the single-minded purpose of "spoiling" her villainous father's (the Cluemaster's) plans. I honestly didn't really like her costume back then, so I didn't grow to appreciate her until much later when she briefly became Robin. Like all "brief" Robins, she was killed. But also like all slain Robins, she came back - this time as Batgirl in a fantastic run from 2009-2011 until the New 52 reboot happened and Barbara Gordon reclaimed the cowl. She was then off the radar until 2014 when she reappeared as Spoiler again in the pages of Batman Eternal with this great new look (which is a hybrid of her previous costumes). She is quite a survivor and her stories are always smart, fresh, and fun. But I was frankly shocked when she was announced in the Multiverse lineup. Considering her fan-favorite status, she never gets much merchandise. So, similar to previous Multiverse exclusives that we saw in the Suicide Squad and King Shark lines, Spoiler and Harley Quinn are a Walmart Exclusive sub-line (known as the Gotham Girls assortment) that include variant Collect-c-Connect pieces for the Lex Luthor wave. The exclusive TRU Robin came with an alternate hammerhead head for King Shark, and the Amazon Exclusive Suicide Squad figures came with alternate pieces for Killer Croc. In this case, Spoiler comes with the alternate "Lex Luthor God of Apokolips" head and Harley comes with a mother box. The rest of the Luthor wave (with the standard head and accessories) has not hit retail yet. I am obsessed with this figure. She seems so simple yet perfect. If you love this character (and her recent run in Detective Comics alongside Batwoman and Cassandra Cain), then you will love this figure. Some QC issues to watch out for: Her hair and hood seem to be separate pieces glued tightly together. Look for glue globs or a general sloppy seam. Secondly, her eyes are a prominent feature on her mostly-covered face and unfortunately many of the figures I saw had asymmetrical eye paint that made her look really wonky. And lastly, her shoulders seem to be made from a really old mold and therefore I see a lot of plastic flashing... this is usually easily remedied with a simple swipe from an Xacto blade, but it's something to look out for. Steph comes with the Lex Luthor God of Apokalips C-n-C head and her Triple Staff. 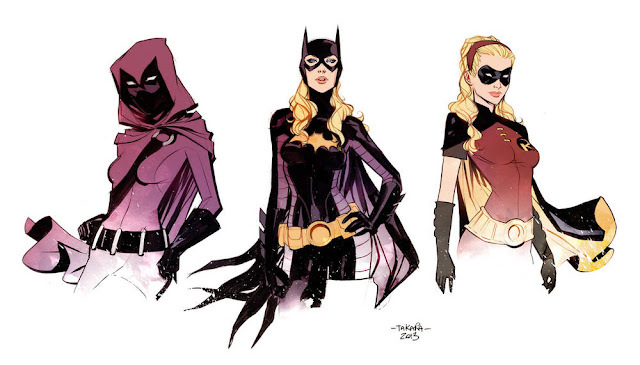 I love this evolution of Steph print by Marcio Takara. Her cape is stiff and narrow which makes for some really fun posing. Here she is with her 2010 DC Direct Batgirl figure. And here are the three current Multiverse Bat-Ladies all together: Batgirl, Spoiler, and Batwoman. I love how well-made all these figures are and how they all have different bucks. I would love to see a Cassandra Cain figure added to the mix but I honestly really dislike her current Orphan costume. Hopefully if they give her a Mutliverse toy they backtrack a bit and give us a Black Bat. And here is my entire Stephanie Brown Collection: Robin Heroclix, Batgirl DC Direct, Spoiler Multiverse, Batgirl Heroclix, Spoiler Kubrick, and Spoiler Heroclix. Cool looking figure. Will have to keep an eye out for her. I have a soft spot for Steph too. This figure looks great, just really wish she came with an unmasked head.